Vietnam’s cuisine is an oddity. Once under French rule as a colony, much of its food has been influenced by the French, with Asian roots firmly sticking out of the bottom. Nowhere is that seen more than in one of the country’s staple street foods – and one of the finest sandwiches to grace the planet; the Banh Mi. A light, airy single baguette is given a liberal spreading of pate – something that could not be more French – and then filled with delightfully asian ingredients. Usually, it’s pork – either as meatballs, roast pork belly, cold cuts of pork or head cheese and finished off with shredded pickled carrots & daikon radish, fresh coriander, cucumber slices and a some chilis for heat. 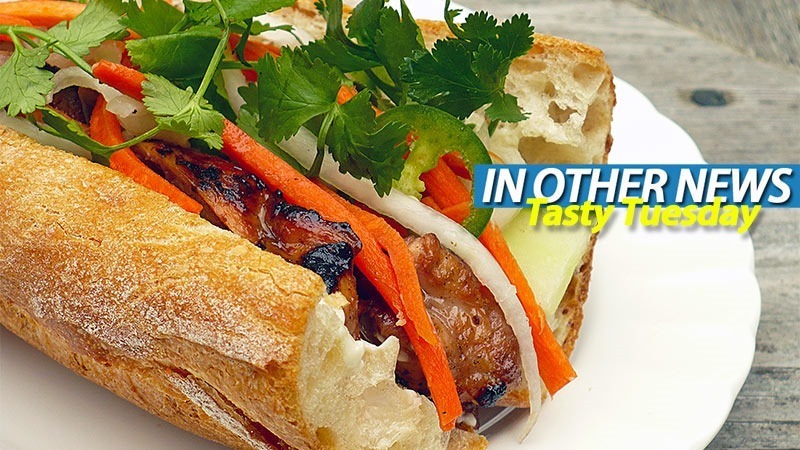 It’s a sandwich that’s both exotic and familiar; the perfect marriage of sweet, sour, salty and savoury in each bite. Could the X-Files be returning? We Review The Imitation Game – This game is a winner!